To schedule a home visit with a family, click "+Schedule home visit..."
The home visit is now scheduled. 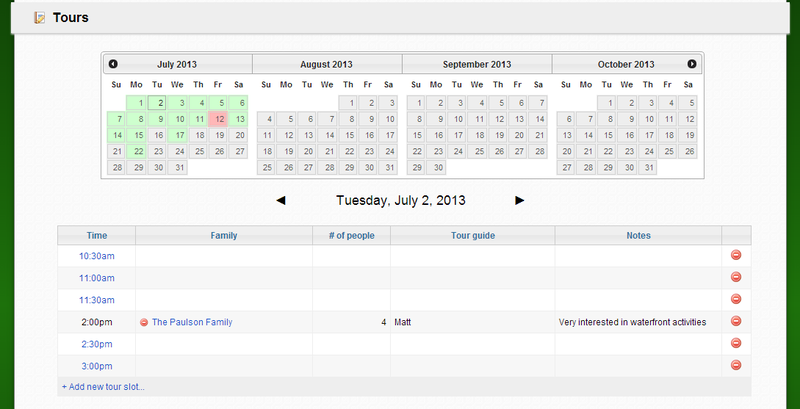 To schedule a tour with a family, click "+Schedule tour..."
Gray=no tour slots have been set up. 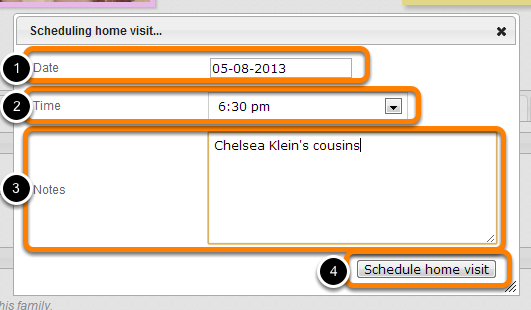 See documentation on creating a tour schedule for more information. If the tour needs to be rescheduled or removed all together this can be done here as well.